Fenugreen paper offers an interesting innovative packaging idea. 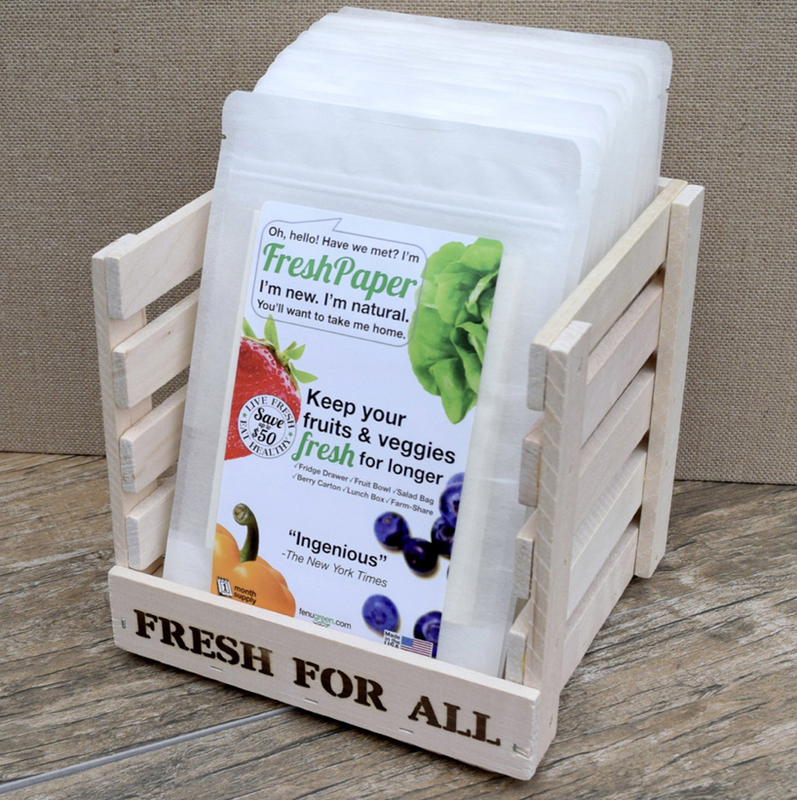 An active “dryer sheet of paper” made from edible organic extracts (Impregnated with organic spices) that can be placed under the produce where it’s stored. It’s biodegradable and can be composted or recycled. As long as the sheet emits a maple-like odor that means it’s active. After about two or three weeks, the smell will fade and the sheet should be replaced.